The ageing of wines in barrels or vats in the cellars of the Bourgogne region helps to improve the wines. In the Bourgogne winegrowing region, the ageing process can last for up to 24 months following the harvest. Enter the cellars of the Bourgogne region to learn the secrets of these practices, which combine tradition with modernity. 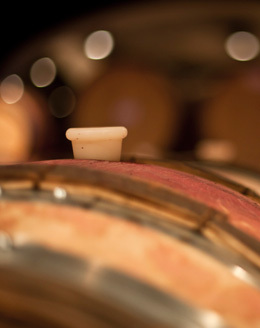 In the Bourgogne winegrowing region, the most popular barrels are called pièces. They hold 228 liters, apart from in Pouilly-Fuissé where they hold 212 liters! • Muids are rarely used. They hold 1,200 liters. • Demi-muids are much more popular and hold 600 liters. • A queue is equivalent to two pièces, holding 456 liters. • A feuillette bourguignonne holds 114 liters, apart from in Chablis where it holds 132. Whether one is dealing with a red Bourgogne, a white Bourgogne or a Crémant de Bourgogne, vinification covers a series of processes that transform the fruit from the harvest into wine. But all this is not enough to create unique wines. There is a key stage that follows: ageing. Ageing is a critical stage. The wine is mainly stored in pièces, traditional Bourgogne oak barrels containing 228 liters, or in vats, or sometimes even in one and then the other. It is then carefully monitored by the winemaker. During these months, usually between 8-24, depending on the winemaker’s wishes and the level of appellation, the wine’s aromatic profile will become more developed and the structure will become more complex. • Ouillage: Part of the wine in the barrels evaporates. This evaporated wine is known as “the angels’ share.” To avoid the wine oxidizing, which would alter its color and aromatic profile, the winemaker regularly tops up the barrels, a process known as ouillage. 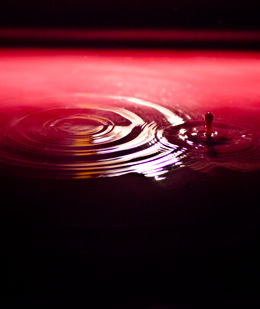 • Racking off: This involves drawing the wine off the lees, created during fermentation. Racking off helps oxygenate the wine and aids the development of delicate aromas. In the Bourgogne region, the number of times a wine is racked off is a decision for the winemaker. • Stirring: The winemaker stirs the barrels two to four times a month to ensure the lees remain in contact with the wine. This is an optional process which helps improve the fatness of a wine. It also helps limit oxidization on the surface of the wine. The stirring is done with a traditional spatula-shaped tool called a dodine. It is mainly carried out on white wines, which are often aged on the lees. Ageing in barrels or vats? In the Bourgogne winegrowing region, there are two kinds of recipients for a wine: barrels (typically Bourgogne pièces) or vats. The vinification style of the winemaker dictates the choice of receptacle. When a wine spends several months in the barrel, this helps boost its aromatic profile. Ageing in the barrel, which requires patience and passion, allows for an exchange between the air and the wine. It also brings oaky notes to the wine. In the Bourgogne winegrowing region, red wines spend between 12-24 months in the barrel, and whites between 8-16. Ageing in vats preserves the youth and freshness of a wine. Vats are mainly used for wines that are to be drunk young. After tasting, the winegrower decides when he or she will bottle the wine. The date varies depending on the wine. For example, Bourgogne Aligoté whites are often the first to be bottled. 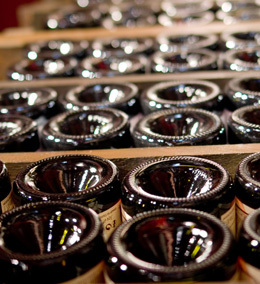 Depending on the domaine or maison, different operations are carried out prior to bottling. The winemaker may add elements to help bond the particles suspended in the wine. This is called fining, and is optional. Fining is followed by filtration, which eliminates the deposits in the wine, making it clearer, but not all producers choose to filter their wines. In the Bourgogne winegrowing region, natural cork holds the place of honor. The choice of the material depends on its porosity and the quality of the cork, among other criteria. The length of the cork is also important. It must fit with the length of the bottle’s neck to ensure the wine is correctly preserved. Different types of cork are used depending on the appellation, how long the wine is to be kept, and the market where it will be sold – in Scandinavia and the UK, screw-caps are very popular.